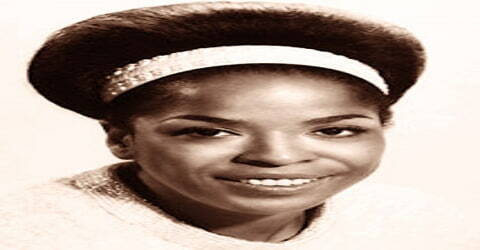 Della Reese – American jazz and gospel singer, actress, and ordained minister. 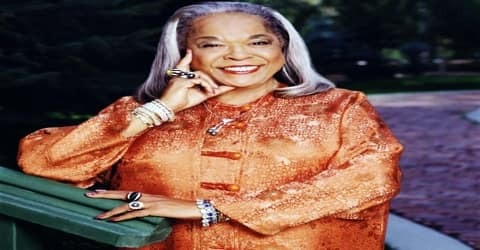 An American singer, actress, as well as an ordained minister, Della Reese was born Delloreese Patricia Early on July 6, 1931, in the historic Black Bottom neighborhood of Detroit, Michigan, U.S. to Richard Thaddeus Early, an African American steelworker, and Nellie (Mitchelle), a Native American cook of the Cherokee tribe. Reese’s long career began as a singer, scoring a hit with her 1959 single “Don’t You Know?”. 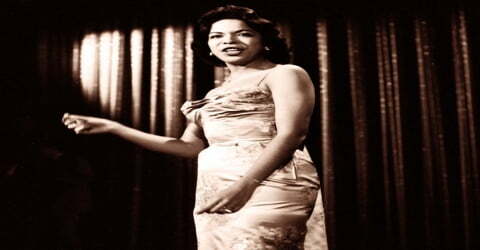 Reese is remembered for her memorable jazz and gospel singing. Della started her career at an early age as a singer, and during the late 1960s, she started acting as well and became one of the most popular television personalities in the ensuing years. 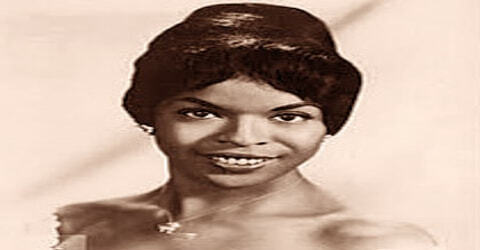 Reese was known for her gospel and jazz music and she released 18 studio albums during her extensive career. Some of her top hit singles like ‘And That Reminds Me’ and ‘Don’t You Know?’ featured in the US Top 100 and US Cashbox charts. She was nominated for the Grammy Award thrice in her career. As an actress, she was much acclaimed for her role of ‘Tess’ in the American supernatural drama television series ‘Touched by an Angel’ that ran on CBS between 1994 and 2003. In addition to being nominated for both an Emmy and a Grammy and receiving a star on the Hollywood Walk of Fame, Reese was also an ordained minister in the Universal Foundation for Better Living, an association of churches she helped found in the early ’80s. Della Reese, by name of Delloreese Patricia Early, was born in Detroit, Michigan, the U.S. on July 6, 1931, to Richard Thaddeus Early, a steelworker by profession, and Nellie, a professional cook. Reese was not the only child of her parents; however, she grew up alone as none of her siblings lived with them. At six years old, Reese began singing in church. From this experience, she became an avid gospel singer. In 1944, she began her career directing the young people’s choir, after she had nurtured acting plus her obvious musical talent. She was often chosen, on the radio, as a regular singer. At the age of 13, she was hired to sing with Mahalia Jackson’s gospel group. Delloreese entered Detroit’s Cass Technical High School (where she attended the same year as Edna Rae Gillooly, later known as Ellen Burstyn). Reese also continued with her touring with Jackson. With higher grades, she was the first in her family to graduate from high school in 1947, at 15. Upon entering Wayne State University to study psychology, Reese formed a women’s gospel group, the Meditation Singers, but her college career was cut short by the death of her mother and her father’s serious illness. Reese worked odd jobs to help support the rest of her family; she also continued to perform with the Meditation Singers and various other gospel groups. In 1952, Della Reese married factory worker Vermont Adolphus Bon Taliaferro, nineteen years her senior, and adopted the stage name Pat Ferro for a week, before introducing the stage name she used for the rest of her life though sources differ as to whether this was after the failure of the marriage, or simply a show-business decision. It was the first of her three marriages. It ended in divorce seven years later. Reese then married Leroy Basil Gray, on December 28, 1959, an accountant by profession who had a child from his previous marriage. However, this one also ended in divorce in 1961. On 12th January 1983, Reese married Franklin Thomas Lett, Jr., a concert producer, and writer. They remained married until her death in 2017. The couple had three children together, James, Franklin, and Dominique. Reese also had one adopted daughter, Deloreese Daniels Owens. In 1979, after taping a guest spot for The Tonight Show, Della Reese suffered a near-fatal brain aneurysm but made a full recovery after two surgeries by neurosurgeon Charles Drake at University Hospital in London, Ontario. In 2016, shortly after her 85th birthday, Reese was said to be in poor health and had undergone multiple surgeries. She further disclosed that she had neglected her health for years, which had contributed to her developing diabetes. After her last appearance on Signed, Sealed, Delivered, she retired from acting. While Reese sometimes used a wheelchair, she avoided using one often, because it would make her condition worse. Della Reese formed her own gospel group, the Meditation Singers. However, due in part to the death of her mother and her father’s serious illness, Reese had to interrupt her schooling at Wayne State University to help support her family. Faithful to the memory of her mother, Delloreese moved out of her father’s house when she disapproved of him taking up with a new girlfriend. She then took on odd jobs, such as truck driver, dental receptionist, an elevator operator, after 1949. Performing in clubs, Early soon decided to shorten her name from “Delloreese Early” to “Della Reese”. Soon she entered and won a talent show and was offered a chance to sing at Detroit’s well-known Flame Show Bar for a week; however, she remained there for eight long weeks. During that time, she came in touch with several popular jazz musicians like Sarah Vaughan, Billie Holiday, and Ella Fitzgerald, and despite being a gospel singer she grew interested in jazz. After impressing a New York agent, who promptly signed her, Reese moved to New York and joined the Erskine Hawkins Orchestra in 1953. A year later, she had a recording contract with Jubilee, for whom she scored hits like “And That Reminds Me,” a 1957 million-seller. Switching to RCA Victor, Reese landed her biggest hit in 1959 with “Don’t You Know?,” a song adapted from Puccini’s La Bohème; this cemented her career, leading not only to plentiful appearances on variety shows but successful nightclub tours of the country and eventually nine years of performances in Las Vegas, as well as recording contracts with a variety of labels over the next few decades. In 1960 Reese released “Someday (You’ll Want Me to Want You)” (number 56) which was drawn from her Grammy-nominated album Della. The album rose in the pop album charts to number 35. In November 1960, Reese appeared in advertisements in Ebony magazine for the newly launched AMI Continental jukebox. Reese recorded regularly throughout the 1960s, releasing singles and several albums. Two of the most significant were The Classic Della (1962) and Waltz with Me, Della (1963), which broadened her fan base internationally. She recorded several jazz-focused albums, including Della Reese Live (1966), On Strings of Blue (1967) and One of a Kind (1978). She also performed in Las Vegas for nine years and toured across the country. Reese continued to record albums in the following decades, receiving two more Grammy nominations in the gospel category for the album Della Reese and Brilliance (1991) and for the live recorded album, My Soul Feels Better Right Now (1999). Motown singer Martha Reeves cites Reese as a major influence and says she named her group The Vandellas after Van Dyke Street in Detroit and Della Reese. In 2017 she was inducted into the Rhythm & Blues Hall of Fame. By the end of the 1960s, Della Reese had already become a popular personality in the American entertainment industry. She shifted her focus to acting and started hosting her own show ‘Della’. It ran for 197 episodes between June 9, 1969, and March 13, 1970, before being canceled. She went on to appear in several popular television shows and became the first African-American woman to appear in the ‘The Tonight Show Starring Johnny Carson’. Reese appeared in several TV movies and miniseries was a regular on Chico and the Man and played the mother of B. A. Baracus in The A-Team episode “Lease with an Option to Die”. In 1991, she starred opposite her old friend Redd Foxx in his final sitcom, The Royal Family, but his death halted production of the series for several months. Reese also did a voice-over for the late 1980s Hanna-Barbera animated series A Pup Named Scooby-Doo on ABC. In 1989, she starred alongside Eddie Murphy, Richard Pryor, and Redd Foxx in the film Harlem Nights, in which she performed a fight scene with Eddie Murphy. Reese appeared as a panelist on several episodes of the television game show Match Game. Della Reese acted in numerous television films including ‘Twice in a Lifetime’, ‘Nightmare in Badham County’, ‘You Must Remember This’, ‘A Match Made in Heaven’, ‘’ Emma’s Wish’, ‘Mama Flora’s Family’, ‘Having Our Say: The Delany Sisters First 100 Years’, ‘Anya’s Bell’, ‘The Moving of Sophia Myles’, and ‘Dear Secret Santa’. Between 1968 and 2014, Reese appeared in numerous television series. Her popular works on television include ‘The Bold Ones: The New Doctors’, ‘Police Woman’, ‘McCloud’, ‘The Rookies’,’ Chico and the Man’ (regular cast), ‘The Love Boat ‘, ‘It Takes Two ‘, ‘The A-Team’, ‘Crazy Like a Fox’, ‘Charlie & Co.’, ‘The Royal Family’ (lead cast), ‘Touched by an Angel’ (lead role), ‘Promised Land’, and ‘The Young and the Restless’. In the 1980s, Reese has ordained a minister through the Christian New Thought branch known as Unity after serving as the senior minister and founder of her own church, Understanding Principles for Better Living. The “Up Church” is under Universal Foundation for Better Living, a denomination of Christian New Thought founded by Rev. Johnnie Colemon, a close friend of Rev. Reese-Lett. In her ministerial work, she was known as the Rev. Dr. Della Reese Lett. 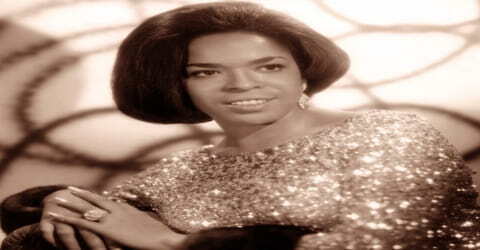 On October 3, 1980, while taping a song for The Tonight Show, Della Reese suffered a brain aneurysm that nearly proved fatal; however, thanks to a successful operation, she was able to make a full recovery. She kept up her singing career and appeared on television shows like Designing Women, L.A. Law, and Picket Fences, as well as the Eddie Murphy films Harlem Nights and The Distinguished Gentleman. 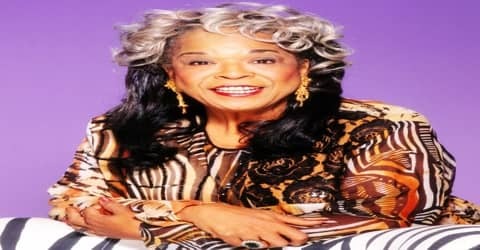 Reese also starred in the Redd Foxx sitcom The Royal Family from 1991-1992 and garnered what was undoubtedly her highest level of recognition in the inspirational drama series Touched by an Angel, a quite popular program that ran for nine years, between 1994 and 2003, on the CBS network. After Touched by an Angel finished its run, Reese continued to act intermittently on television through to 2014. 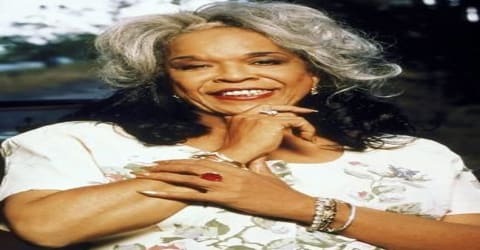 Della Reese won seven Image Awards for ‘Outstanding Lead Actress in a Drama Series’ between 1996 and 2002 for her outstanding work in ‘Touched by an Angel’. Reese was nominated three times for the Grammy Awards and also earned nominations for the ‘Primetime Emmy Award for Outstanding Supporting Actress in a Drama Series’ and ‘Screen Actors Guild Award for Outstanding Performance by a Female Actor in a Drama Series’ for her work in ‘Touched by an Angel’. In 1994, Della Reese was inducted into the Hollywood Walk of Fame: 7060 Hollywood Boulevard. Della Reese died on November 19, 2017, at her Los Angeles, California, home at the age of 86. No cause was given, although she had suffered from Type 2-diabetes. One of Della Reese’s very first singles, the title song of the album ‘And That Reminds Me’ became one of her biggest hits. It reached the number 9 spot on the weekly Billboard chart and number 16 on the Cashbox in 1957. The song became her biggest commercial hit so far, and the album received a Gold Certificate from the RIAA. In 1991, Della Reese lost her long-term friend Redd Foxx and was not very sure of taking up any new TV projects. However, she took the role of ‘Tess’ in ‘Touched by an Angel’, an American supernatural drama television series created by John Masius. The show ran on CBS between September 21, 1994, and April 27, 2003, for a total of 211 episodes. Her character became very popular among the audiences and the show became a huge hit.